In 1907 an enterprising British army captain discovered a cave on the south-eastern face of the Jurassic limestone monolith known as the Rock of Gibraltar. He inscribed his name on the cave wall using soot from an oil lamp, and the cave has borne his name ever since. 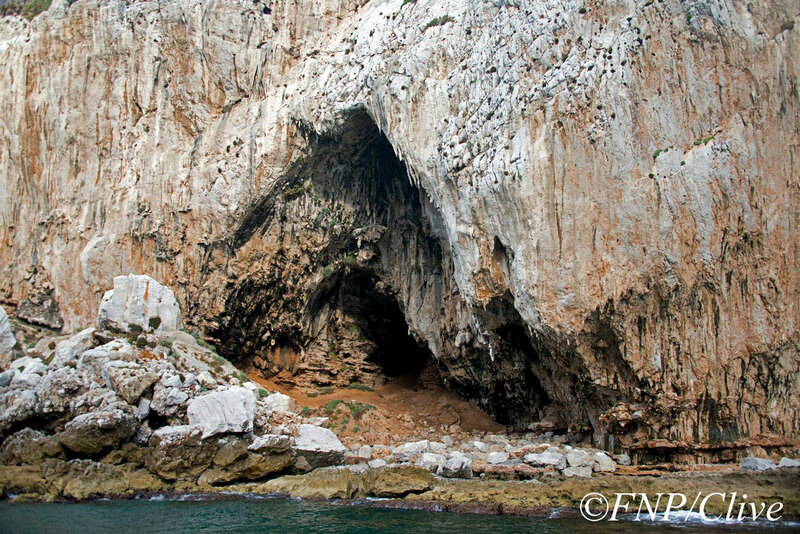 From the shore of the Mediterranean, Gorham’s Cave is an opening in the rock face, located on a beach largely inaccessible from the cliffs above. Thus it is no surprise that the cave was forgotten for several decades after Captain Gorham’s discovery. In the 1950s, however, several excavations and explorations took place, and archaeologists first realised the importance of this place. Eighteen metres of sediment provided archaeological data on the cave’s inhabitants dating back as far as 55,000 years. From the findings of stone tools, bones, burnt seeds and charcoal archaeologists have been able to determine that our distant cousins the Neanderthals occupied this cave for a significant period of time during the Middle Paleolithic, the middle part of the Old Stone Age. Back then Gibraltar was rather different from how we know it today, and the sea wasn’t splashing around the entrance of the cave — in fact, it was several kilometres away. Today Gorham’s Cave is the site that has provided the most comprehensive and detailed information on Neanderthals. It is known as the last recorded place of Neanderthal occupation in the world, and after their extinction about 40,000 years ago, early humans moved into the cave. Archaeological research in sites like this cave and elsewhere have provided us with a great deal of knowledge about the extinct species which has an unclear ancestry relationship with ourselves, Homo sapiens sapiens. For a long time these early hominids were perceived to have had very limited intellectual capacities — enough to use a flint tool to chop some roots, but not much else. However, in the recent decades we have discovered that Neanderthals may not have been as dumb as we thought. 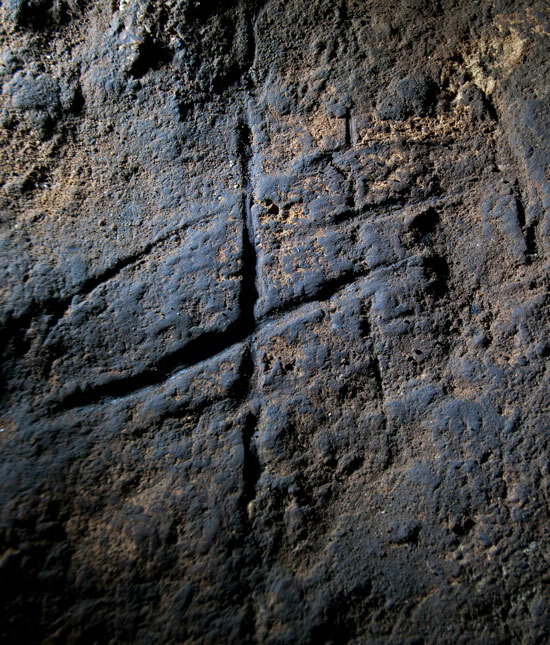 Today news emerged that scientists have also discovered a criss-cross carving pattern in Gorham Cave, until recently hidden under a sediment in which Neanderthal-era tools were previously found. After experimental carvings of their own, chemical dating, microimaging and other procedures, the archaeologists now claim these carvings were indeed produced by Neanderthals. And if that is indeed the case, our ancient cousins may have been more intellectually endowed than we’ve ever suspected. Who knows what else is still hidden in Gorham’s Cave. Thankfully, curious people just keep on digging.